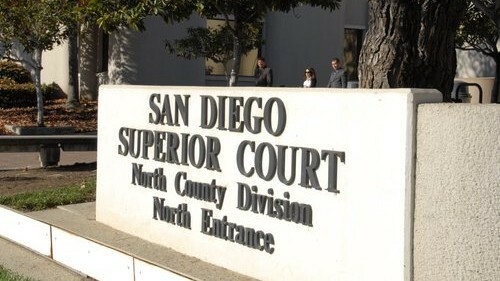 Effective next month, the San Diego Superior Court will no longer provide official court reporters in family law matters for domestic violence restraining order hearings or “request for order” hearings of 40 minutes or less, court officials announced Thursday. The court is also eliminating more than 60 positions to meet its budget, including upper management and Court Commissioners. — all Small Claims and Unlawful Detainer operations and courtrooms in North County will be closed and active cases will be transferred downtown. “The judges of the San Diego Superior Court do not want to make these service reductions,” said Presiding Judge Jeffrey Barton. “Unfortunately, we have no choice. Since 2012, the San Diego Superior Court has faced more than $30 million in cuts and has reduced its workforce by nearly 20 percent, officials said. The reductions come at a time when the court is preparing to move into a newly built 22-story facility downtown. The new Central Courthouse will consolidate three courthouses housing criminal, family and probate operations and courtrooms.